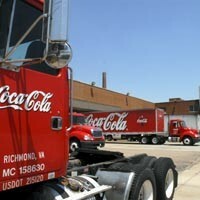 Coca-Cola Out, Mystery Tenant In | Street Talk (Old) | Style Weekly - Richmond, VA local news, arts, and events. The closing will take 222 jobs out of city limits, and leave behind a 141,000-square-foot plant on 4.7 acres of land  together assessed at more than $3 million. Sealed bids on the property were received in mid-July, and the owner, Atlanta-based Coca-Cola Enterprises, is likely to settle on an offer by year's end, says Joe Marchetti, a real-estate agent with CB Richard Ellis, the firm handling the sale. More than 25 interested parties were shown the property  one of the largest in Scott's Addition, Marchetti says. Proposed uses for the site range from industrial to mixed-use, he says  as in high-end residential units with office and retail space. Sound familiar? It does to City Councilman William J. "Bill" Pantele, whose 2nd District includes the bottling plant. He likens the move to that of Interbake Foods' FFV cookie factory near Broad Street and the Boulevard. That factory, which closed in March, is being turned into a mixed-use "life center"  with retail, office and residential space  by Washington, D.C.-based developer Douglas Jemal. "I really regret Coca-Cola's decision to move, but the response in the bidding on that property shows a lot about the city and Scott's Addition," Pantele says. "A few years ago, it would have been met with despair if not panic," he says, referring to losing tenants. Scott's Addition, recently designated as a historic district by the National Register of Historic Places, is seeing a transformation. The nearby Boulevard and The Diamond are as well, Pantele says. He hints at a "blowout" development worth $250 million to $350 million that will encompass far more than The Diamond and will be unveiled by end of summer or early fall.